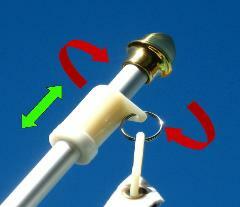 Our 45 angle 1" cast aluminum flag pole bracket is suitable for residential and light commercial duty. 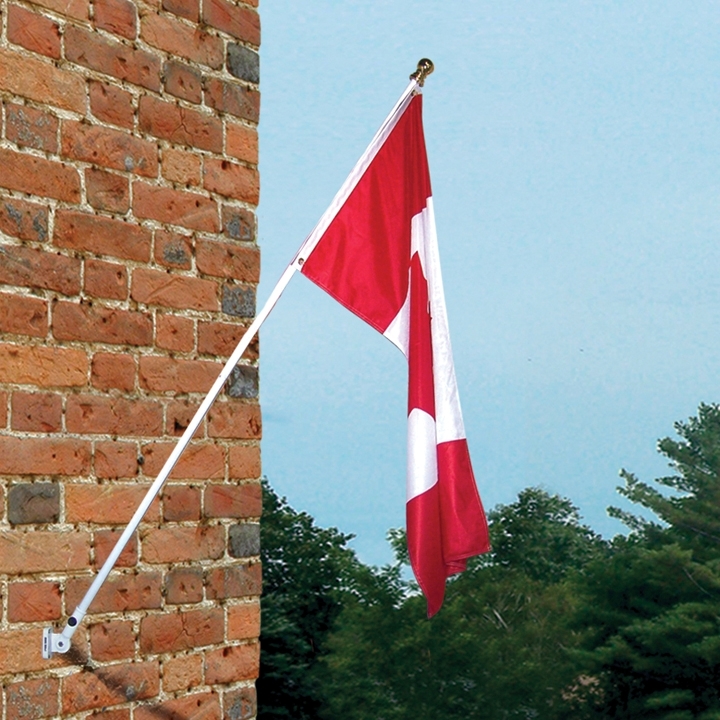 If paired with one of our "econo" aluminum poles, acorn flag topper/ornament and a flag this makes for a great starter set for any home, business or recreational property that wants to display a flag. As with all our flag poles and hardware we do request that clients contact us _before_ making their purchase as our flat shipping rate may not be applicable for this product.